“Grace and peace to you from him who is, and who was, and who is to come, and from the seven spirits before his throne, and from Jesus Christ, who is the faithful witness, the firstborn from the dead, and the ruler of the kings of the earth.” These words are taken from the greeting at the beginning of the wondrous book of Revelation, you likely recognize. They are some of my favorite words to hear in a worship service because I need them so badly. Grace and peace. Could there be more beautiful words for us to give and receive today. I’m struck by the tone and tenor of so much of the communication and conversation we hear and participate in today. And, again, I say, Grace and Peace. At my church before we take communion every week we receive the Peace of Christ, and then we pass it to everyone we can. “The Peace of Christ to you, Rod.” It is our way of acknowledging that since we have received the peace of Christ, we now live in unity and oneness with each other. We intentionally want to express our being “good” with each other. We are at peace with each other. And so, we give and receive the peace of Christ to one another, having received it first from God, and what a gift it is. I love giving and receiving Grace and Peace. So, my challenge to each of us is to be the kind of people who bless all that we meet with grace and peace. Would it be too weird to say to each other, “Grace and Peace,” as we meet each other in the morning at school? I wonder what kind of difference it would make in taking an already wonderful school culture and bringing it to the next level. Are you in for preparing a table with me like that? Grace and Peace to you. Just a reminder, we don’t have school next week Friday or the following Monday (February 15-18) due to the Winter Break. Our staff will be engaging in some meaningful professional development on Friday, and then enjoying a break on Monday with all of you. Kindergarten Enrollment is happening now! Please enroll your child in kindergarten by March 1 in order for us to prepare class lists. Children will need to be 5-years-old by September 1, 2019, to enroll in kindergarten for the 2019-20 school year. Makers Week is Coming Feb 25, 26, 28 and March 1! We are busy preparing for another Makers Week at Rose Park! During this special week we spend a couple of hours each day engaging in learning activities that involve extra measures of exploration, creativity, and hands-on activities. We are in need of some supplies for the week and wondering if you can help us. If you have any of these items, please drop them off in the office. Thank you for your help in making this a great week for all of our learners! Our 7th and 8th graders are presenting Disney’s The Jungle Book Kids on February 28 at 7pm, March 1 at 7pm, March 2 at 3pm and 7pm. This is the family-friendly musical adapted from the animated film. Show lasts a little over an hour, and includes an Intermission which makes it great for children as young as 4. Tickets are $7 or $6 for groups of 8 or more. Purchase tickets at hcs.ludus.com! Rose Park Running club is open to all 3rd, 4th, 5th and 6th grade girls. Please email lauriendannenberg@gmail.com your child’s name and contact information to register. Our season will begin on Thursday, March 7th. Come run with us! Our ski club dates for this year are February 22 and March 1. MOMS IN PRAYER- Feel free to join us in the library again on Friday morning, February 22nd, from 8:15-9:05. We’ll give God Praise, silent Confession, Thanks, and Supplication. Come see what 50 minutes will do for your heart and soul! LORD, I pray that above all else, ________ will guard his heart, for everything he does flows from it. TTQ Boys Running Club Spring Season registration is open! TTQ is a fun, high energy after school program designed exclusively for boys in 3rd-5th grade. TTQ incorporates strength and stretching exercises with training for a 5K. Boys in this program will develop positive peer relationships and feel a part of a team while working toward individual goals. Additional practice activities focus on developing a healthy lifestyle, social/relationship skills, how to make healthy choices, and resisting peer pressure. Parents of 3rd-5th grade boys: the TTQ spring season is starting soon!! The season ends with the Tulip Time 5k in May. Rose Park TTQ is looking for a coach who is willing to coach both a practice each week. Ideally this would be on Tuesdays and Thursdays, or on Mondays and Wednesdays. Contact Vicki at vkavanaugh@arborcircle.org with any questions you have! Looking forward to a great spring season! Our Spring Kids stuff reSale is right around the corner! Looking for kid’s clothes that won’t break the bank? Need a cute Dutch costume for your child? What about a bathing suit or soccer cleats? You can get it all at the 2018 Spring/Summer Holland Christian Kids’ Stuff ReSale on Saturday, March 2 at Holland Christian High School, located at 956 Ottawa Avenue, Holland 49423. This huge sale (really…you need to see it to believe it) is one of the most organized in West Michigan, featuring clean, trendy clothes in great condition sorted by size and gender (Girls NB-16, Boys NB-18) at awesome prices! Be sure to check out the large item room featuring baby gear, bedding, toys, books, DVDs, bikes, sporting goods and a maternity section. 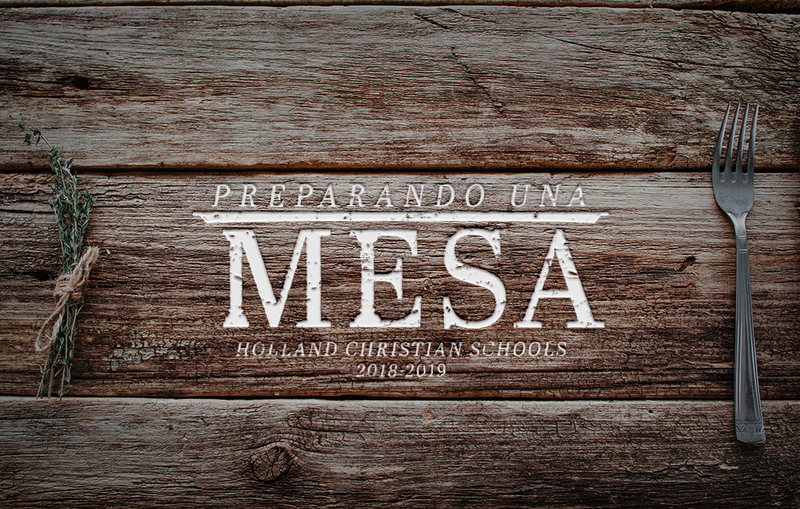 The sale begins at 9am and ends at 12pm with a $1.00 admission fee (for those 12 years old and up) that benefits the Holland Christian Tuition Grant Fund. Strollers are permitted. Follow the signs for parking (off 40th) and entry. Do you have clothing, toys, or gear your child has outgrown? You could be a seller! Please contact Kidsale@hollandchristian.org or call 616-820-2805 to register. HC Lacrosse Club is getting ready for another exciting season! ●WHEN: Thursday, February 21st at 7:00p.m.